For the second time in two days, Texas carried out an execution Thursday. It was the state’s 10th execution of the year, and the 18th in the nation. 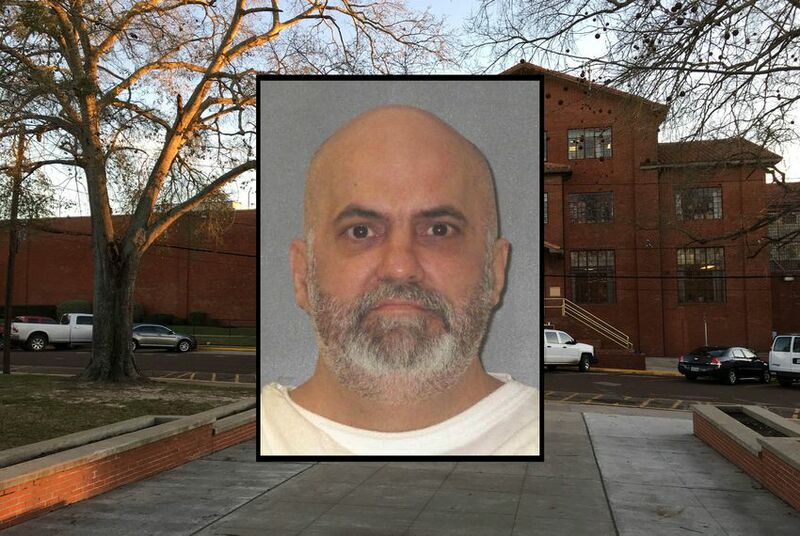 Daniel Acker, 46, was put to death in Huntsville’s execution chamber hours after the U.S. Supreme Court denied his last appeal, just 24 hours after another man, Troy Clark, died by lethal injection in the same spot. Acker was sentenced to death in the 2000 East Texas murder of his girlfriend, 32-year-old Marquetta George. Her body was found on the side of the road several miles away from the trailer they shared in Hopkins County after their neighbors said they saw Acker grab her, toss her over his shoulder and shove her into his truck, according to court records. Acker had maintained that he was taking her to confront a man she had slept with and she jumped from his moving vehicle. With all appeals exhausted, Acker was injected with a lethal dose of pentobarbital shortly after 6 p.m. and pronounced dead at 6:25 p.m., according to the prison department. He gave no final statement. George's brother attended the execution, according to a prison witness list. Acker had no friends or family present at the time of his death. Both Acker and the state agreed that he kidnapped his girlfriend during a fight on March 12, 2000. The two had argued at a club the night before, and he spent the night searching for her around town, he testified at trial. Shortly after a man brought her home the next morning, she ran to her neighbor's home asking for help, and Acker took her away in his truck. But there are multiple theories as to what happened between George’s abduction and her severely wounded body being found on the side of the road. At Acker’s trial in 2001, the state told the jury that George died by strangulation, blunt force injuries or both, court records show. The state's main theory was that Acker strangled George to or near death, pulled her out of his truck and then ran her over. But during an appellate hearing, the state’s own expert said George's injuries weren't consistent with strangulation, and the theory arose that Acker pushed her from the truck and then ran over her. The federal judge who took over the case after the hearing wrote in a later opinion that the evidence pointed to her having been "unconscious or incapacitated" when pulled from the truck and then run over by Acker. But despite the shifting primary theory, federal and state courts upheld Acker’s murder conviction, saying the indictment and jury charge allowed the jury to decide George was killed by blunt force injuries alone, even if much of the evidence presented — including autopsy testimony — focused on strangulation. The state, represented by Texas Attorney General Ken Paxton and his office, said in its last briefing filed Tuesday at the U.S. Supreme Court that Acker has already failed to persuade the courts — and the jury — of this claim. “Acker produces no new evidence showing he did not commit the crime but continues to assert that George’s death resulted from her leap from the vehicle — a theory rejected by the jury at the time of trial,” wrote Assistant Attorney General Ellen Stewart-Klein.